Weekender Meeting Bag is a made to order travel tote or pack. It is small, black, water resistant, modular and can hold up to a 15” MacBook Pro. The bag features two carrying handles on top and two adjustable backpack straps on the back. 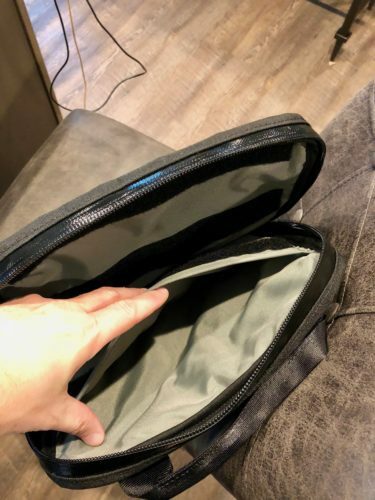 The Weekender opens fully using a zipper covering the sides and top and includes additional clips to secure when closed. 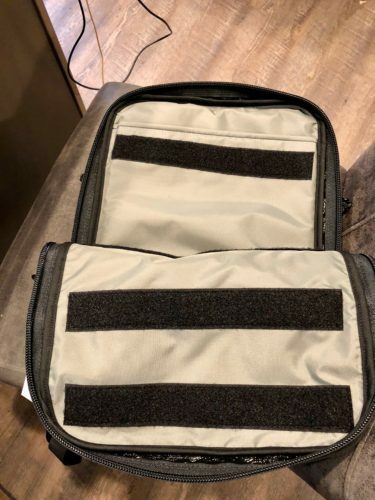 Inside is a compartment for a laptop or sketchbook and velcro to attach additional accessories. On the front is the pencil pouch. North Street makes a large assortment of made to order bags, backpacks and accessories. They are tough, weather proof, attractive and easy to use. The Weekend Meeting Bag is all that and a perfect size for carrying your gear. The Weekender Meeting Bag, like many other’s from North Street, are modular. They sell inserts for additional items that attach to the inside using the velcro strips. Examples of these inserts are various sized pouches, sleeves and pockets. 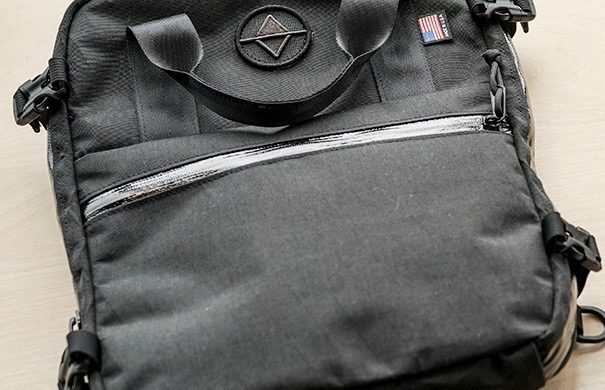 A few months ago I reviewed the Davis Backpack from North Street and I had a insert to hold another laptop. I tested with the insert and it fit perfectly. Even this this bag is labelled as a weekender, it is not large enough to carry clothes, shoes or much else for over the weekend use. 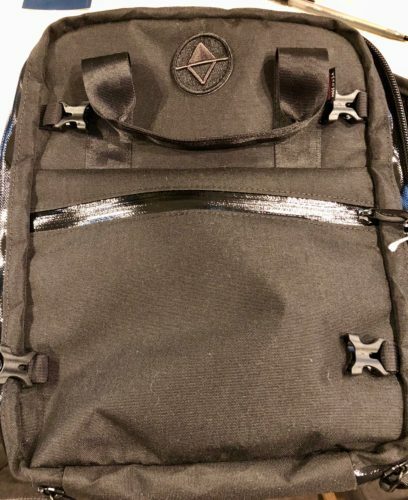 It is the size of a normal computer backpack. The Weekender is very comfortable and attractive. I stuffed mine with a 13 inch MacBook Pro, 12 Inch MacBook, 10.5 inch iPad Pro and accessories and it still looked slim and neat. It is easy to carry and the zipper and clasps are some of the strongest I have seen. If you are looking for a quality bag, you will not go wrong with the Weekend Meeting Bag. MyMac Review Rating is 9 out of 10. While there are less expensive totes and small packs out there, this one is versatile, comfortable and attractive.